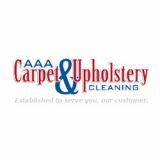 AAA Carpet and Upholstery Cleaners, LLC - Serving Lebanon, Mt. Juliet & Wilson County - Carpet Protector is AMAZING! I had my carpet cleaned recently and had carpet protector applied. I will never have it cleaned without applying carpet protection again. That stuff is amazing. When we spill anything in the baby’s room it just sits on the surface of the carpet until we can clean it up. Our dog got scared in thunder storm and had an accident. It came right up with a clean soft rag. I am sold, thank you for recommending the treatment. I would highly recommend them to EVERYONE! "Jesse and Jack have cleaned my carpets several times over the last few years and I think they do a wonderful job. I would highly recommend them to everyone."